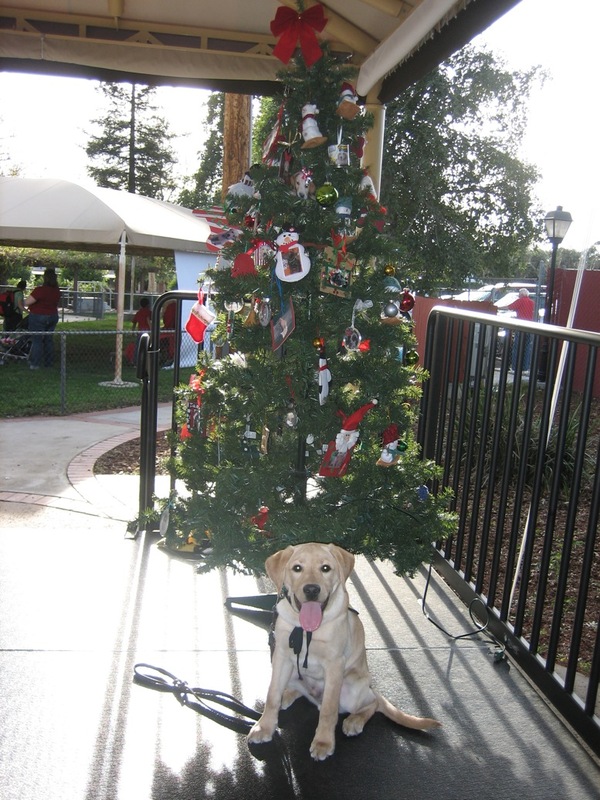 GDA does a lot of nice things for their puppy raisers, and the annual GDA Holiday Party is one of my favorite events. Puppy raiser potlucks are always good (people actually cook, for one thing…unlike a lot of other potlucks I’ve been to in Southern California, which are comprised of tables full of buckets of chicken, bags of chips and eight thousand plastic forks), the atmosphere is festive, and you have the opportunity to see raisers from other groups that you might not see much at other points during the year. Every year, we’re asked to bring an ornament with our puppy’s name on it to hang on the tree, so I took a trip to the craft store (somehow managing to get out of there for less than fifty bucks — it’s a Christmas miracle!) 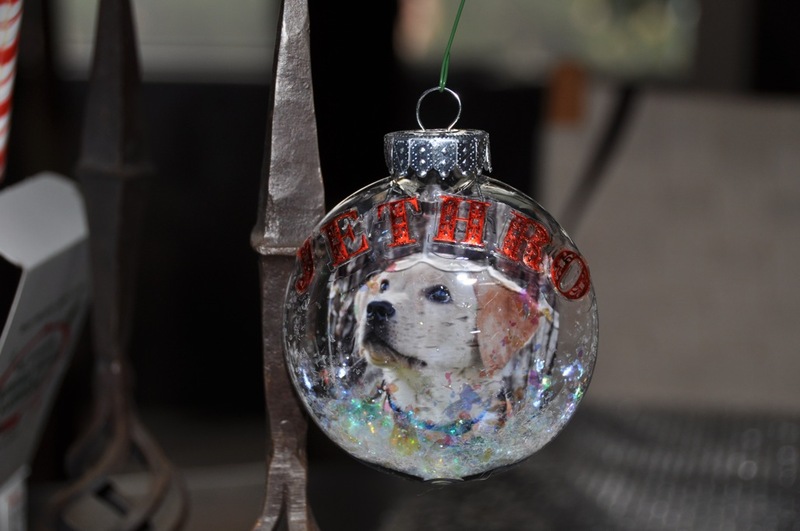 and made one for Jethro. Stay tuned for pictures with Santa! 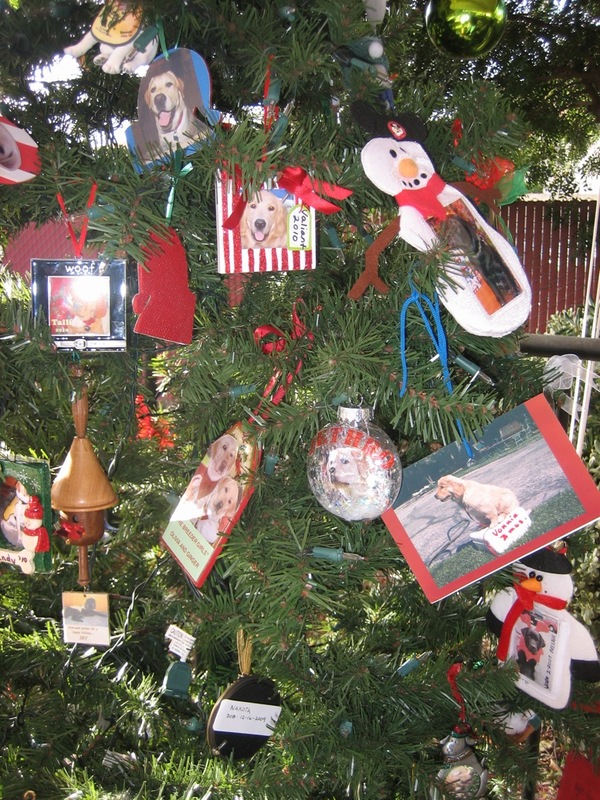 This entry was posted in GDA events, Holidays, JETHRO, Traditions. Bookmark the permalink. What a lovely ornament. Does GDA keep them, or did you get to have it for your own tree?